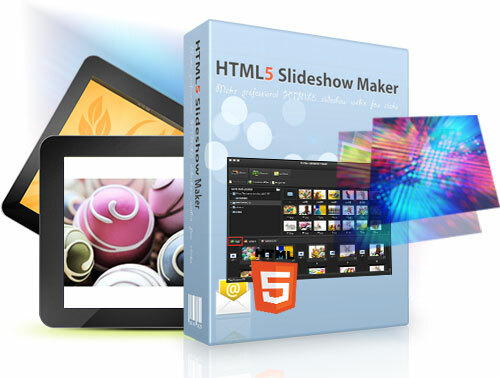 HTML5 Slideshow Maker is an easy-to-use but powerful HTML5 slideshow creator to create slideshow galleries, photo slideshows, website banners, and slideshow intros. 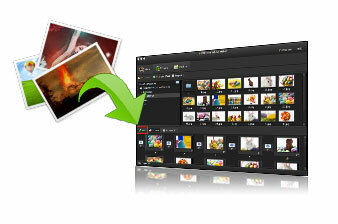 It turns your digital photos into HTML5 slideshows which you can embed into your own blogs or websites. You can quickly and easily create extraordinary slideshows like a guru. 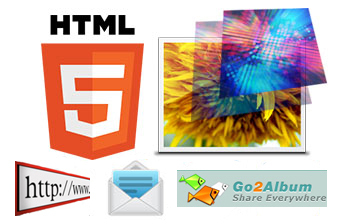 Start creating a slideshow with HTML5 Slideshow Maker! Notice: The Mac version is not compatible with Mac OS X 10.9. 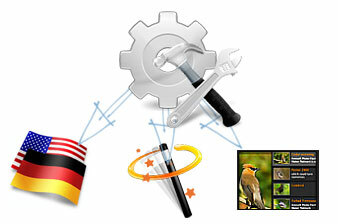 Add photos: Open HTML5 Slideshow Maker, can easily find the "Add Photo" button. By clicking this button and using the middle file explore panels, users can easily find their photos and add it to this slideshow maker. Choose HTML5 template: All the HTML5 templates can be found by clicking the "Theme" tab. The properties on the right is for customizing HTML5 templates. Publish photo slideshow: Click "Publish" button, choose "Output Options" and set fill the "Output Settings", then publish the photo slideshow by clicking the "Publish Now!" button. Transition effects: HTML5 Slideshow Maker provides lots of transition effects for making your HTML5 photo slideshow more lively. Like Random, Wipe from Left, Fade to White, Cross Expansion and many others. 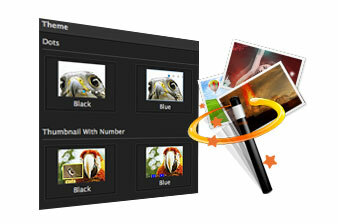 Besides, it offers settings like Photo Duration and Transition Duration for customizing the transition effects. HTML5 templates: Dozens of cool HTML5 templates are provided in HTML5 Slideshow Maker. Such as Dots, Bottom thumbnail, and Digit. In addition, the HTML5 templates are free to customize. Language: By clicking the "Perference" tab and choosing the "Language" option, users can start choosing language preference for using this slideshow maker. Transition effects: Users can customize the transition duration, photo duration, transition effects to each photo slide with HTML5 Slideshow Maker. HTML5 templates: Users can change the height, width, frame rate, play mode, etc. of all the HTML5 templates in this handy slideshow creator. Browsers: The photo slideshows powered by HTML5 Slideshow Maker can work on all browsers, like Safari, Chrome, IE (IE9 or later), Firfox, and Opera. 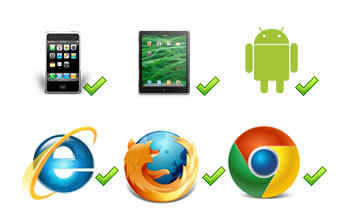 Users do not need use Adobe Flash Player to run HTML5 photo slideshows. Mobile devices: Mobile phones and tablets which use iOS, Android, or Windows system are compatible with the photo slideshows generated by HTML5 Slideshow Maker, like iPad, iPhone, Sumsung phones, HTC phones, and Google Nexus	series. Where to share: Photo slideshow can be shared by embedding it to their own website, sending it to others via email, and publishing it to our free photo slideshow service Go2Album. How to share: Users just need to upload the output files to server and then copy the codes of the photo slideshows to their webpage editor to share it on their own websites. Users can also share it by sending the compressed file of their HTML5 photo slideshow, or upload it to Go2Album and send the links of their photo slideshow to others.